Made safer and stronger than the competition. 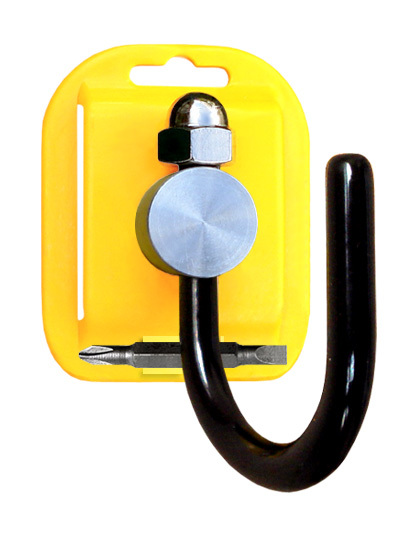 "Easy Hook" moves with the power tool being stowed to prevent the tool from falling and the hook can be locked out of the way when not in use to prevent it from catching on something. "Easy Hook" is guaranteed not fall off your belt, unlike the competition, the "Easy Hook" is worn with the user's belt going through it. It wont come off until you take it off.